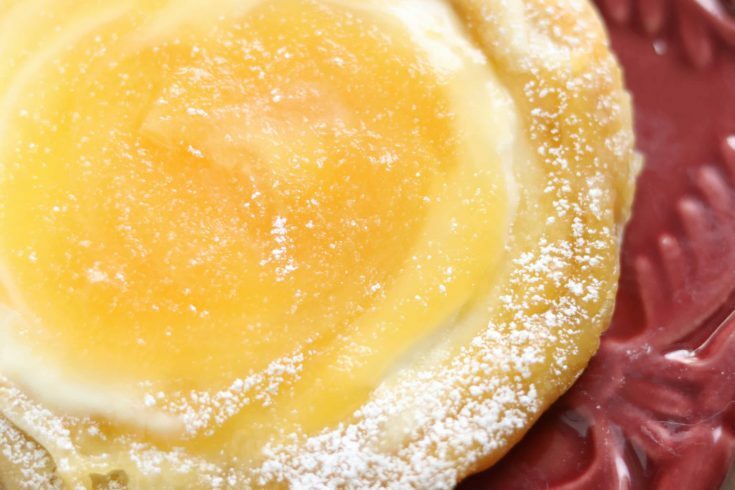 This Lemon Cream Cheese Danish is so darn delicious I had to put myself in time out from eating. I was ready to bite into number three. 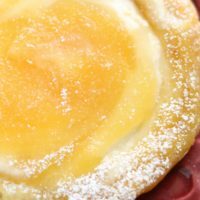 I decided to bake these during our last snow storm and the sweet lemon curd brightened up my kitchen and made for the perfect snack that day. I had one away for myself to have for breakfast the next day. It was the sweetest most delicious was to start my day. If you love lemon as much as I do, I bet you will love my Lemon Crinkle Cookies. 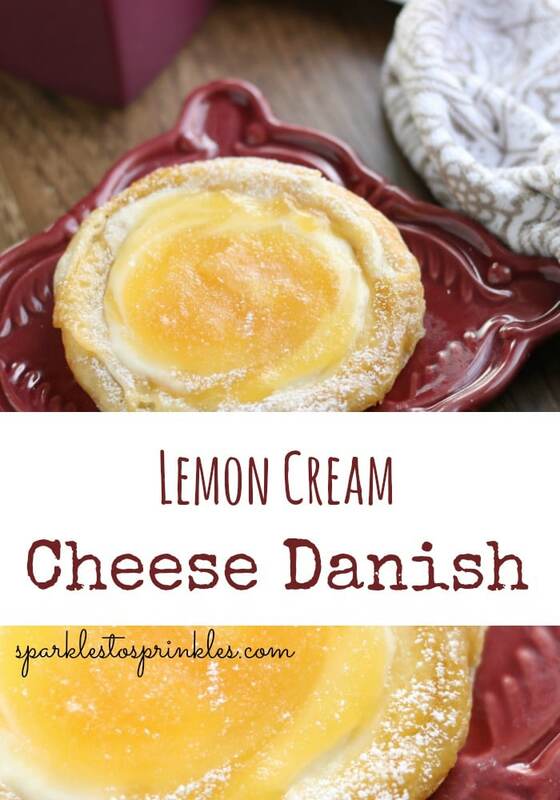 Delicious Creamy Lemon Cream Cheese Danish reminds me of my mothers old fashioned homemade lemon pastries. Semi homemade and super easy using puff pastry. In a mixing bowl, beat the cream cheese, vanilla, sugar and lemon juice. Gently flour your clean work surface, and unfold the puff pasty. Using your fingertips, gently press the creased areas flat. Use a rolling pin if necessary. Use a cookie cutter or glass to cut out 4 circles. Place circles onto baking sheet. Gently score border about ½-1 inch inside each puff pastry circle. Using a fork, poke several times inside each of the circles. Spread cream cheese mixture into each circle, keeping inside the boarder. In a small bowl, mix together egg and water until frothy. Brush the border of each with egg mixture. Bake for 18-21 minutes or until golden brown. Heat lemon curd in the microwave for 25 seconds, then spoon on top of each danish. Sprinkle a pinch of lemon zest and dust with powdered sugar prior to serving.